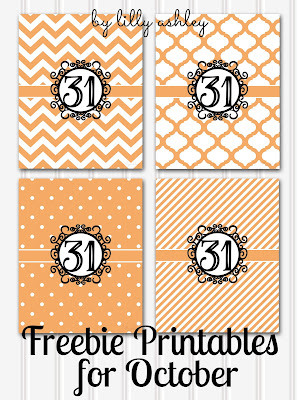 We have a fun freebie for you today! Use this freebie cutting file along with your Silhouette to create a cute sign for your Halloween decor, decorate treat bags, or even apply to a glass jar of candy or a candle sitting out at a Halloween party. The possibilities are endless! Make sure to unzip files prior to loading! 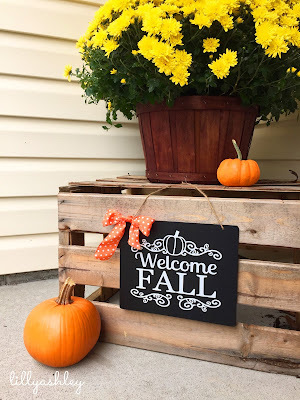 On another note, we have some Fall porch decorating ideas to share with you! If you've been following our site for the last several months, this won't be the first you've heard of us mentioning these cute 8x10 chalkboards that already come with an attached twine hanger! At less than $2 a piece at your local Walmarket (you know the true name! ), you can pick up more than one and stock up for all kinds of projects! I absolutely love these. 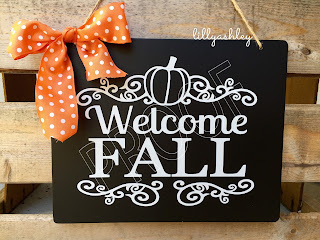 Even if you don't have a Silhouette, there's lots of great tutorials on how to do chalk lettering from transfering/tracing a printed out design. Here's a great -->POST on that. After applying your vinyl or tracing out a cute design with chalk or a chalk pen, add a cute little ribbon bow and hang! It makes a perfect addition to Fall decor. If using outside, I recommend 651 vinyl or a chalk pen rather than chalk, and hang under an overhang or somewhere where it won't get rained on. 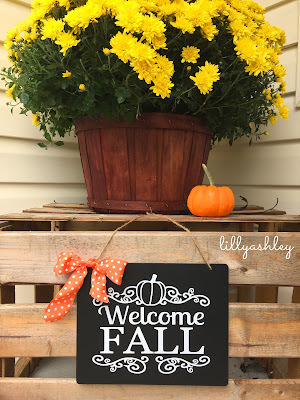 We used 651 white vinyl on our chalkboard as we are using it on our front porch in our Fall porch decor. We have a nice big overhang so water should not reach it. 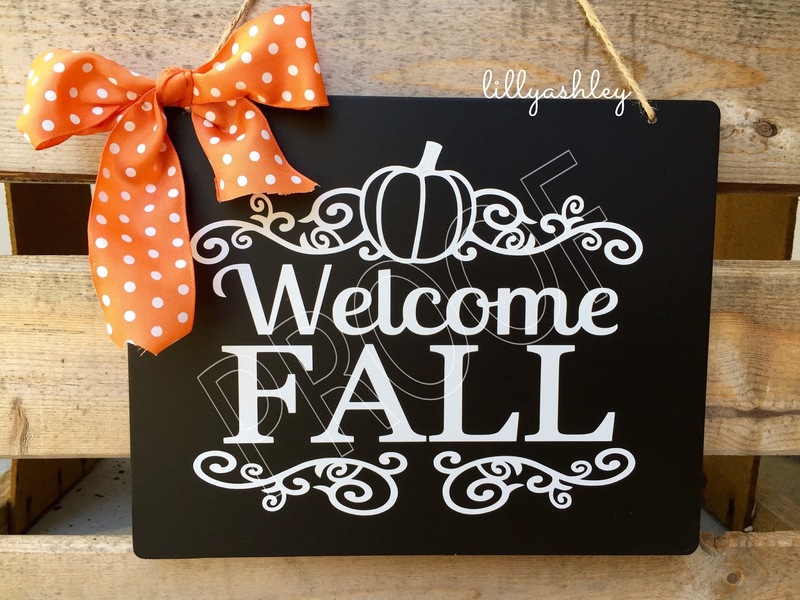 By the way...if you like our Welcome Fall design, it's available in our design shop! 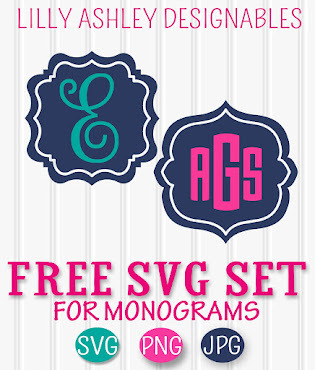 It comes in SVG cut file format as well as PNG & JPG formats. 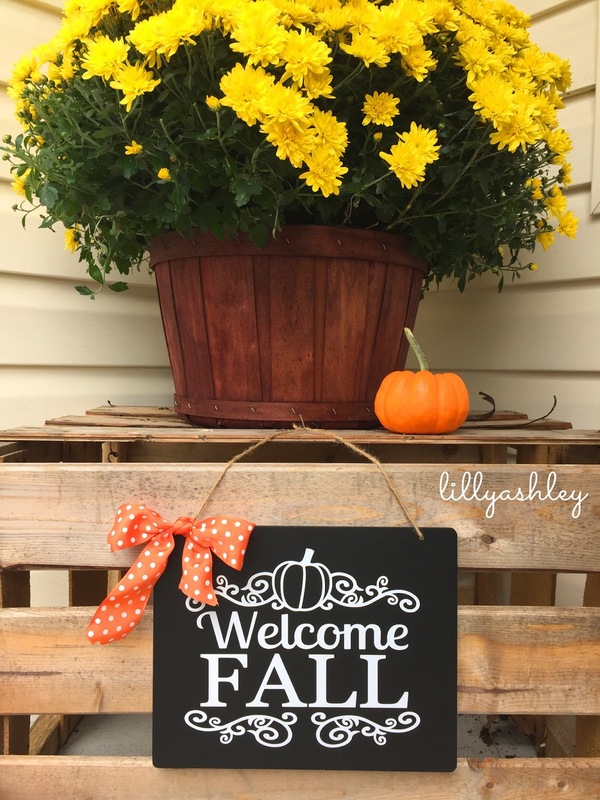 I just love using these little chalkboards! 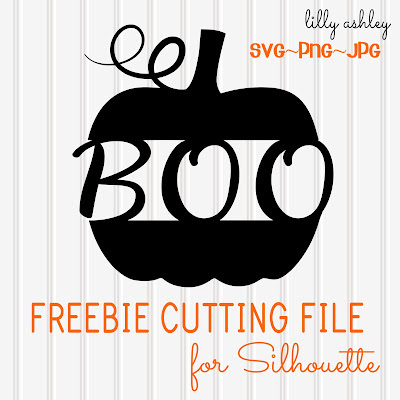 Hope you enjoyed today's freebie Boo Pumpkin Cut File! 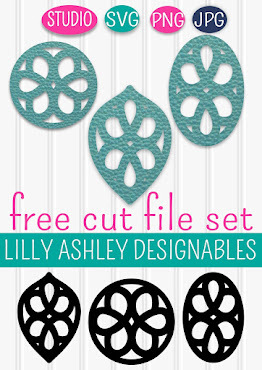 Be sure to check back through some of our recent posts, containing more free cut files, free printables, and even free digital paper packs! Be sure to stop by again soon, more freebies coming your way!! Follow us along on Pinterest to stay updated on newly added freebies! You're very welcome! Thanks for visiting! Sure thing! Thanks for visiting!